Sixt's new team of international sales directors offers cross-border solutions for use in 60 markets, complementing the national sales teams. Sixt is strategically expanding sales for globally active companies in order to provide them with a specialized international contact for their worldwide mobility needs, the rental agency announced. The new team offers cross-border solutions for use in 60 markets, complementing the national sales teams. The International Sales Directors Heike Kammer, Stuart Donelly, Emmanuel Roche, and Florian von Klier are now available to serve customers in Munich, London, and Paris. The team reports directly to Vinzenz Pflanz, senior vice president of Group Sales. Kammer and von Klier support corporate customers in the Germany, Austria, and Switzerland. Kammer has been with Sixt for more than 20 years and has an extensive network in the travel and fleet industry. After holding senior management positions in fleet analysis, key account management, and leasing, she was most recently senior director for Strategic Accounts and Business Development. Von Klier has extensive knowledge of the consulting and media industry. Most recently, he was chief operations officer for Dialego AG. Donnelly serves corporate clients in the U.K. and the Netherlands. He has more than 22 years of experience in the automotive, leasing, and fleet management industries and extensive expertise in international business. His strengths include the development and sale of solution-based fleet management concepts for large international companies. Most recently, he worked for Fleet Logistics Ltd.
Roche serves customers in France, Belgium, and Spain. He has over 20 years of experience in the automotive and mobility industry with particular expertise in optimizing corporate fleets. Roche has served as international sales director for three leading leasing companies. Most recently he worked as sales director Southern Europe for ARI. Companies increasingly need mobility that reflects their actual requirements in line with their needs. Traditional models such as a fixed company car do not always fully meet this requirement. 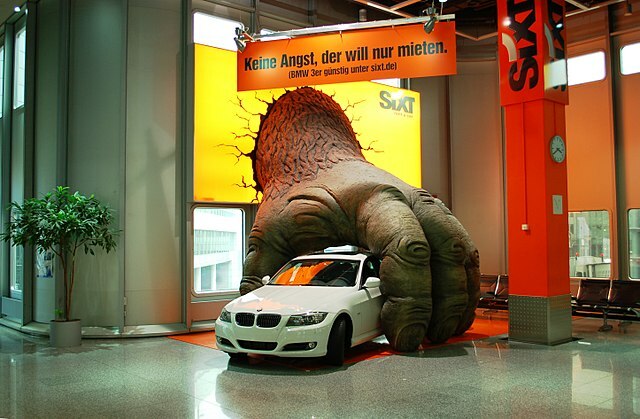 Sixt has therefore bundled all of its products – including car rental, ride railing, leasing, fleet management, and supplementary services – with the aim of effectively reducing companies’ mobility costs.